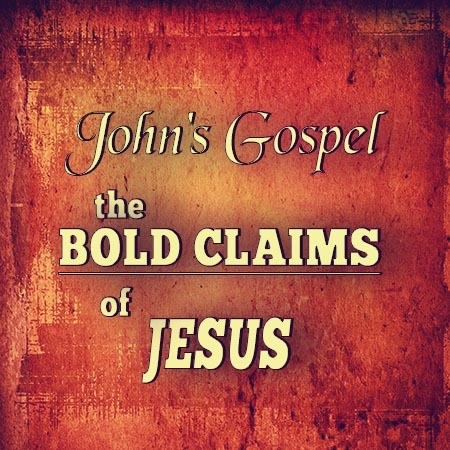 As we look into God’s Word in John chapter five, we see the bold claims that Jesus made. First, He claimed equality with the Father in His person, His works and His judgment (17-24). Jesus’ statement that He worked on the Sabbath just like the Father was nothing less than a claim to full deity and equality with God. God instituted the seventh day as a day of rest for the benefit of mankind. God didn’t cease from Sabbath working because God has the unceasing work of sustaining the universe (Heb 1:3) and drawing men to salvation. Jesus’ words and works were in perfect harmony and subordination to the Father’s will. “Behold, I have come to do your will O God” (Heb 10:9). Jesus veiled His glory and laid aside the independent exercise of His divine attributes. The Father loves the Son (“phileo”–a warm familial affection, not “agapao”–a love of the will and choice). In this close relationship there are no secrets; the Father and Son are in total agreement. The people had seen the crippled man healed, but even more spectacularly, Jesus would be raising the dead (Lazarus)! Better still, Jesus would impart spiritual life as with the Samaritan woman and the nobleman of John chapter four. Next, Jesus boldly claimed authority over life and death (25-30). All people will one day be raised from the dead and live forever, consciously and individually. For the believer, there are two aspects to that resurrection, spiritual and physical. Spiritually, Christians are resurrected when God imparts salvation to their previously dead souls. We were dead in our trespasses and sins (Eph 2:1), now we enjoy new life in Christ. Physically, believers will one day receive a resurrected and glorified body that will endure forever (Php 3:20-21; Rev 21-22). Unbelievers will also experience a physical resurrection. They will be sentenced at the Great White Throne Judgment. After their condemnation their eternal resurrection bodies will be suited for eternal punishment in the lake of fire (Rev 20:11-15). Christ offered spiritual life to all who would heed His words. Unbelievers are spiritually dead in their trespasses and sins (Eph 2:1, 5). No one can give to others what he himself lacks. But those who hear and respond in faith will be saved and live (25b). In contrast, the lost neither hear, understand nor obey the voice of God. God the Father gave the authority to execute judgment to the Son of Man. As with spiritual resurrection (25), Jesus said the hour of bodily resurrection is coming. But unlike spiritual resurrection, He did not say that there was a present aspect of that reality. The resurrection of the dead is future. The Bible teaches that the dead are raised in a specific sequence, not all at once (I Cor 15:22-24; Rev 20:4-6). First, those resurrected to eternal life , then, those to eternal judgment. Unbelievers will be given resurrected but not glorified bodies. When Jesus mentioned good and evil works, He was not teaching salvation by works but works as evidence of salvation. Evil works reveal an unregenerate heart. People’s actions reflect their inner nature. The final claim in this passage is the validation Jesus boldly claimed from other sources (31-47). He claimed the witness of John the Baptist (31-35). In verse 31 Jesus wasn’t saying His self-witness was unreliable. The Jews claimed one’s witness was not enough so He offered more testimony for His opponents to consider. John the Baptist’s ministry was to prepare the nation for the Messiah (1:23) and to identify Messiah when He came (1:31). John testified, “Behold the Lamb of God who takes away the sins of the world” (1:29). John was the first prophet in Israel in four centuries, the people flocked to him and the Jewish leadership examined him, but ultimately rejected his witness. Jesus also referenced his miraculous works (36). Nicodemus sought out Christ because “no man can do these signs unless God is with him” (3:2). The throngs sought Christ because of the miracles of healing and feeding. Christ did more miraculous works than anyone in the nation’s history including Moses, Elijah and Elisha! Lastly, Jesus claimed His Father’s word (37-47). The Father gave verbal testimony to the Son at His baptism and at His transfiguration when He said, “This is my beloved Son in whom I am well pleased” (Matt 3:17; 17:5). God the Father’s testimony bears more weight than any and all human testimony. The Jews revered Moses but searched the scriptures in vain because all scripture testifies to Jesus Christ and they refused to see Him in the Old Testament. The Jews sought to know the Word of God but not the God of the Word! Instead they clung to their superficial system of self-righteousness by works, and their stubborn unbelief in God’s righteousness through Christ alone. In conclusion, we must be careful that our religious traditions don’t blind us to the truth of God’s Word and we must never allow our study of the Bible to give us a big head instead of a tender heart. We must also beware that if we reject truth, we will ultimately receive that which is false.